A 14-year-old boy riding a bicycle in Escondido was seriously injured in a crash with a black Infinity, a police lieutenant said Saturday. 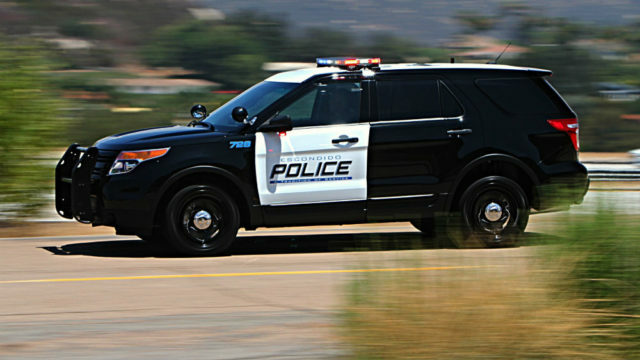 It was unclear if the motorist, a 28-year-old resident of Escondido, was arrested or cited. The Infinity was heading northbound on Central City Parkway at El Norte, according to witnesses, passing through the intersection when it struck the bicyclist, who had no lighting equipment or safety gear, said Lt. Mike Kearney of the Escondido Police Department. Firefighters dispatched to the scene at 10:49 p.m. Friday discovered the 14-year-old boy still pinned under the car, Kearney said. A helicopter eventually transported the boy to Children’s Hospital for multiple injuries, including life-threatening burns from the underside of the vehicle, he said. “Alcohol or drugs do not appear to be a factor in this collision,” the police lieutenant said. Escondido police asked anyone who saw the crash to call them at (760) 839-4966.